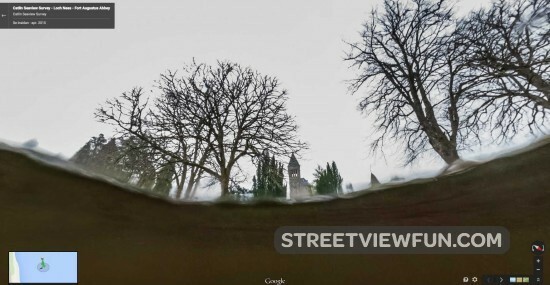 Have you found the Loch Ness monster on Google Street View? Now you can go underwater in Loch Ness to find the monster. Google Street View released new images today of this area. In 1934, the “Surgeon’s Photograph” was released, claiming to show the monster in the misty waters of the lake. It’s the most iconic photo in the history of Loch Ness—and may be one of the most elaborate hoaxes of our age. Today, to celebrate the anniversary of its release, we’re bringing 360-degree Street View imagery of Loch Ness to Google Maps, so you can go in search of Nessie yourself.